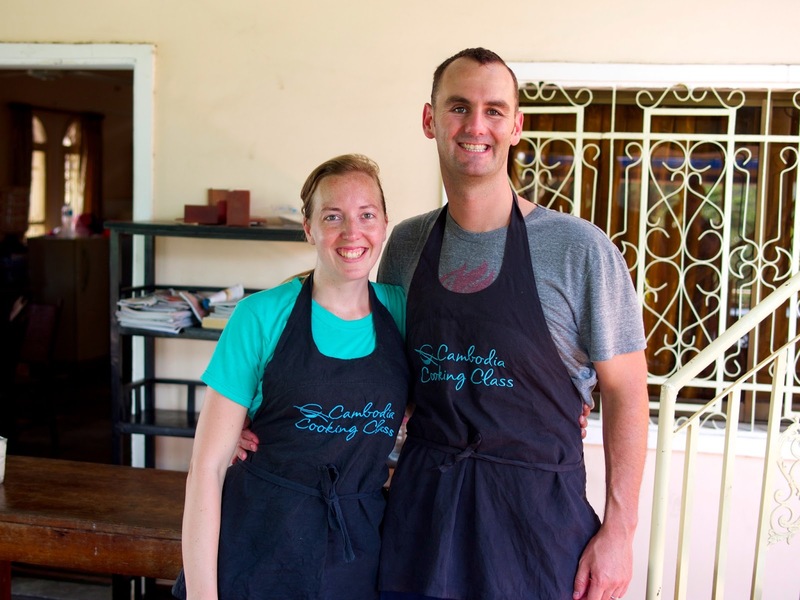 After a few days of dorking around, both sick and feeling quite sorry for ourselves, we picked ourselves up and decided to spend the day at a cooking class. 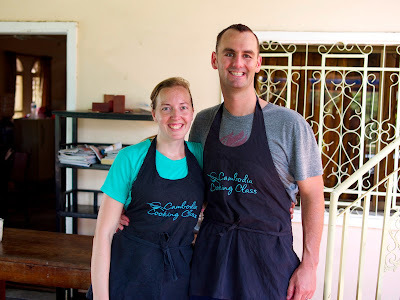 Although we have been wanting to learn some local dishes in several countries we've been to, this was the first time we found an affordable class to take ($23 each for the whole day, Cambodia Cooking Class). 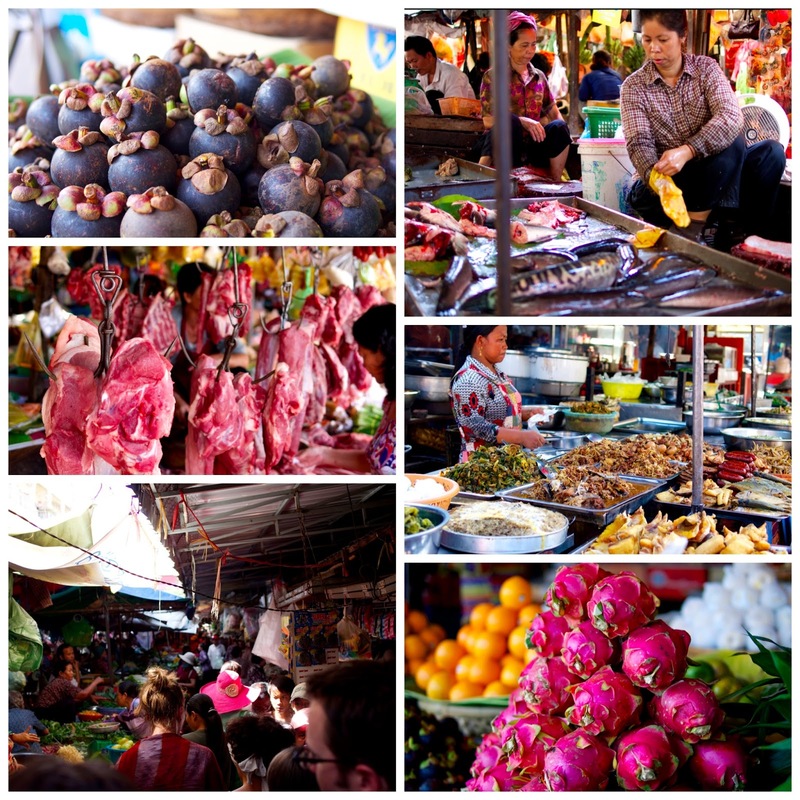 The day started with a tour of the local market, and it was great to finally know what it is we were seeing when we've been in the markets! The colors, sounds and smells were abundant (especially the smells, as it was about 100 degrees in scorching sun!). After the market tour, we hopped into tuk tuks for the ride to the rooftop kitchen (and enjoyed the much-needed breeze along the way!). We got to a nondescript building and started climbing the back stairs to the roof. Either we were going to a cooking class, or they were going to kill us! Luckily, it was a cooking class! Our menu for the day included Fish Amok, a steamed curry and the national dish of Cambodia, Taro Spring Rolls, Banana Flower Salad, and Mango Sticky Rice. Yum!! 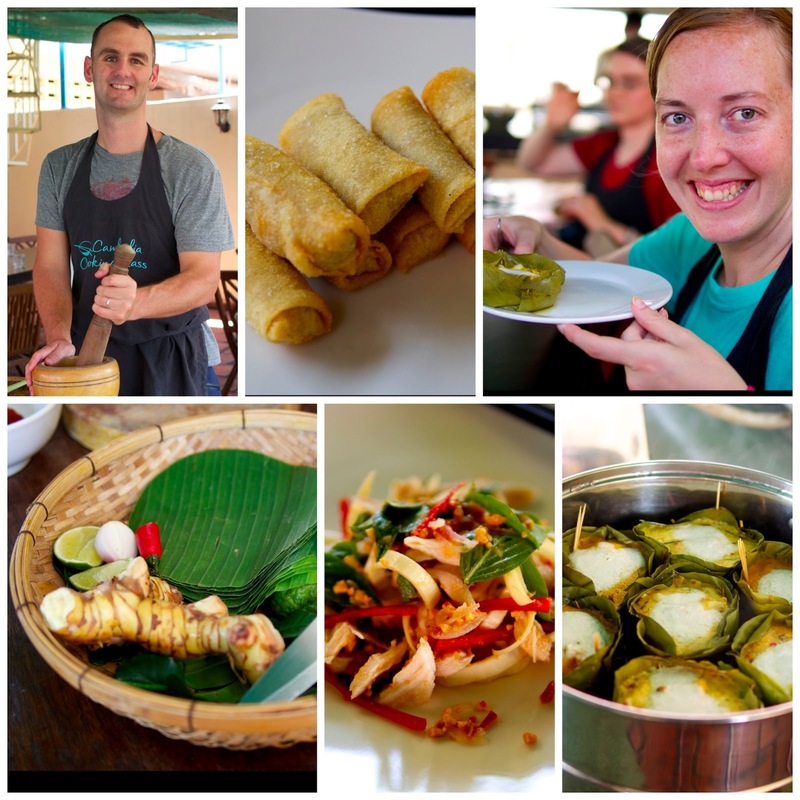 With only 7 students in the class, we had a great day learning the basics of Khmer cuisine. We pounded out our own curry paste (did you know that Turmeric comes from a root, not just a powder bottle on the grocery store shelves?! ), made our own banana leaf steaming cups, mixed the best sweet chili sauce ever, and enjoyed the heck out of the day!